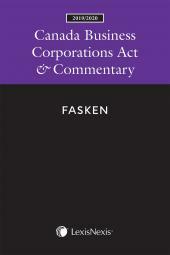 This book contains expert interpretation and commentary on the most current developments in the law. The procedural aspects of all aspects of a criminal, civil or family trial – from the pre-trial stage to the verdict and sentencing – are covered. One of the most daunting facts about Ontario trial procedure is the enormous body of tradition and unwritten rules. 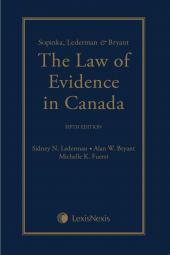 The fourth edition of Ontario Courtroom Procedure, contains expert interpretation and commentary on the most current developments in the law. The procedural aspects of all aspects of a criminal, civil or family trial – from the pre-trial stage to the verdict and sentencing – are covered. 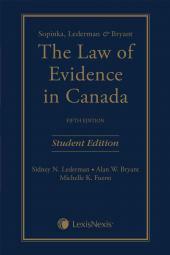 Ontario Courtroom Procedure, 4th Edition is the only resource to comprehensively address procedural issues in all three areas of law – criminal, civil, and family. How do you prepare and argue an application or a motion in civil and criminal cases? How do you select a jury in a civil or criminal case? What should an opening address include in civil and criminal cases? What can you do to facilitate the presentation of evidence in the case in chief? What does an effective cross-examination involve? How can you best use demonstrative aids? What content is appropriate for closing submissions? The Honourable Madam Justice Mary Anne Sanderson of the Ontario Superior Court of Justice, was a partner at a prominent law firm and practised civil litigation at both the trial and appellate levels before her appointment to the bench. She has served as a President of the Advocates' Society. The Honourable Madam Justice Michelle Fuerst of the Ontario Superior Court of Justice was a certified specialist in criminal law, who practised criminal and quasi-criminal litigation before her appointment to the Bench. She taught Advanced Evidence as an adjunct member of the faculty at Osgoode Hall Law School, and served as a President of the Criminal Lawyers' Association.She is a Fellow of the American College of Trial Lawyers.